More than 50% of Americans prefer to shop online according to a study from BigCommerce. With more and more consumers choosing to shop online than in a physical store, it could be difficult to compete against the online retailers selling frames to your patients and undercutting your optical dispensing sales. Over the past few months, we’ve been keeping a closer eye on the online competition and have realized there are a few things that you can learn from online retailers to make your practice more effective at converting frame sales in your optical dispensing shop. Many online retailers focus on providing low-cost frames. Although the online retailers may out price your optometric practice, some of your patients may view the services that you offer, like taking professional measurements to ensure the perfect frame fit and recommending quality lenses that meet the patient’s lifestyle, as more valuable. It’s important to express the value of patients buying the frames from your practice to help you fight against online retailers. 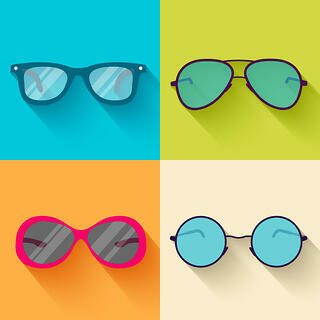 When simplifying the shopping experience by limiting the number of options, it’s important to use your patient demographics, buying trends, and fashion trends to determine what frames work best for your patient's and style needs. For many, purchasing frames can be a difficult decision. Online retailers understand that even after a week or two of wear, the customer may decide that the frame doesn’t meet their needs. For this reason, they offer and proudly advertise a 30-day return or exchange policy. 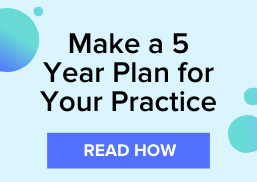 Because 34% of online consumers say that a difficult return policy is keeping them from making purchases online, your practice must have and advertise an eyewear refund policy that matches online retailers, and makes the process simple for the patients. For more tips on boosting your optical dispensing sales, download the four week guide to bigger profits in your optical dispensary.